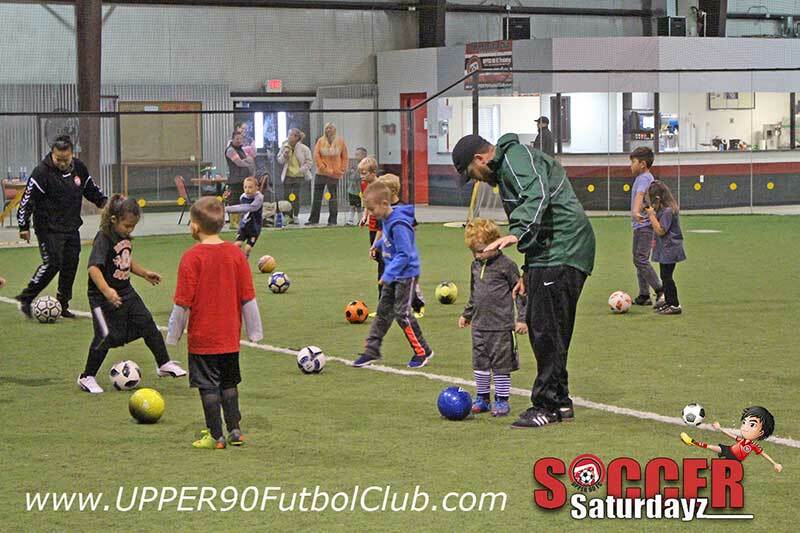 SOCCER SATURDAYZ is a soccer development program focused on youth with birth years 2009 – 2013. 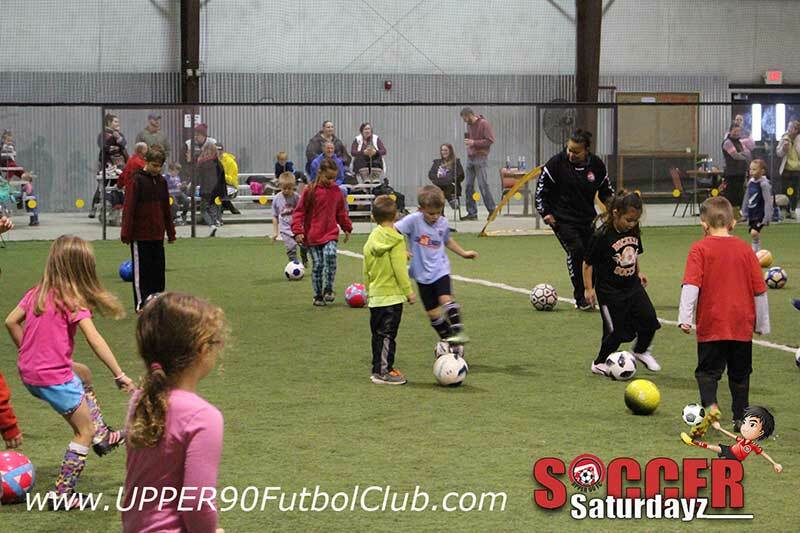 We use a variety of foot skills-based games and drills combined with small-sided soccer games. 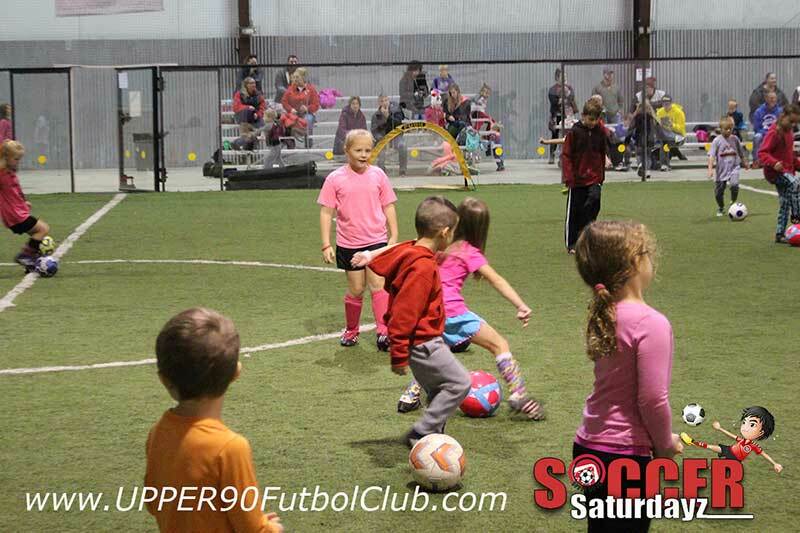 The kids will learn soccer skills while having fun! The idea is to focus on individual skill development at an earlier age. It is geared to give kids more touches on the ball while enjoying the game of soccer. Everyone is welcome. 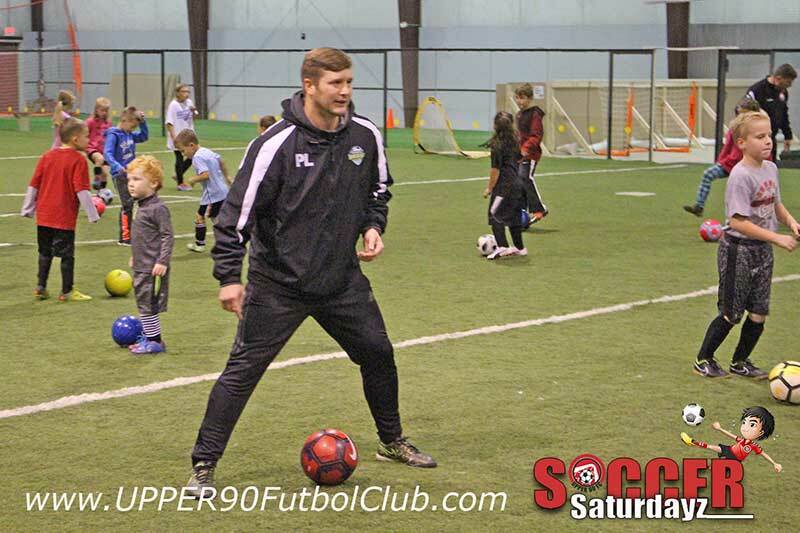 You do not have to be an UPPER 90 FC club member to participate. 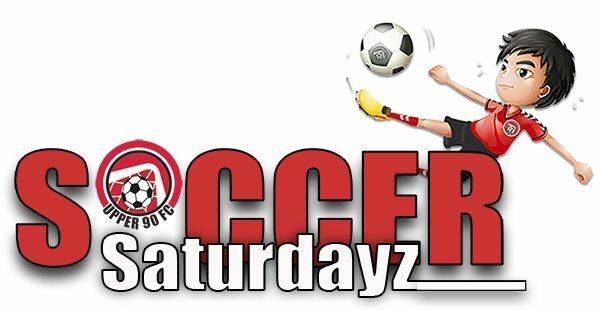 Notice: There will be no more Soccer Saturdayz this season. We have to cancel the rest of the session previously scheduled for this month. Our apologies for the short notice. Unfortunately, all good things do have to come to an end. 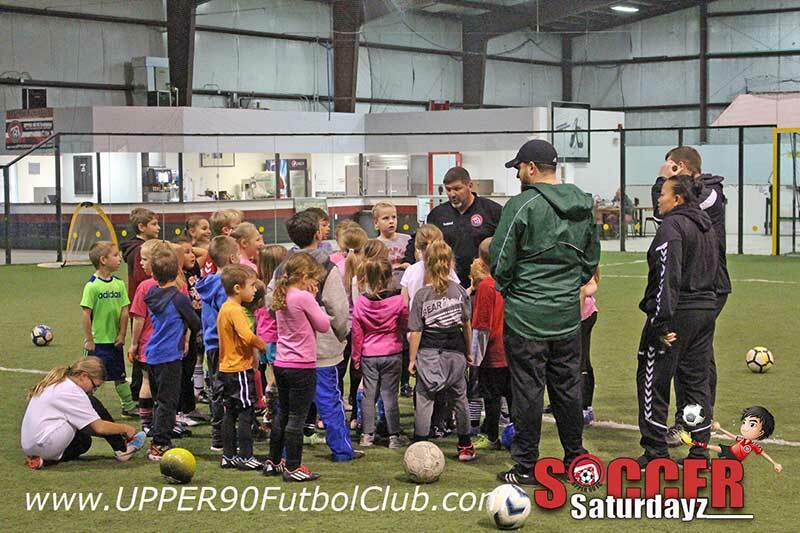 UPPER 90 FC would like to thank all the youth and parents that have come out to Friday Night Footskills and Soccer Saturdayz this winter season. We have had a blast working with your athletes. We hope you have enjoyed the training as much as we’ve enjoyed getting to know all of you. 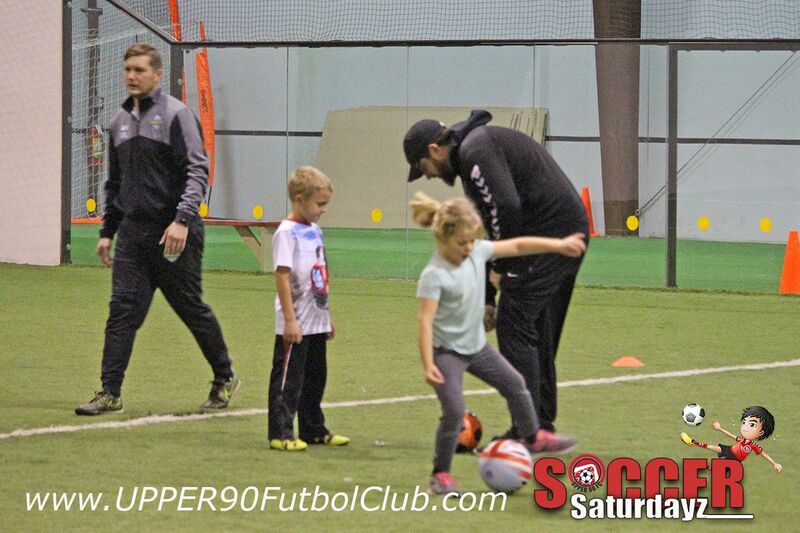 Friday Night Footskills– last session at GAMEDAY for the winter will be Friday, March 15th. 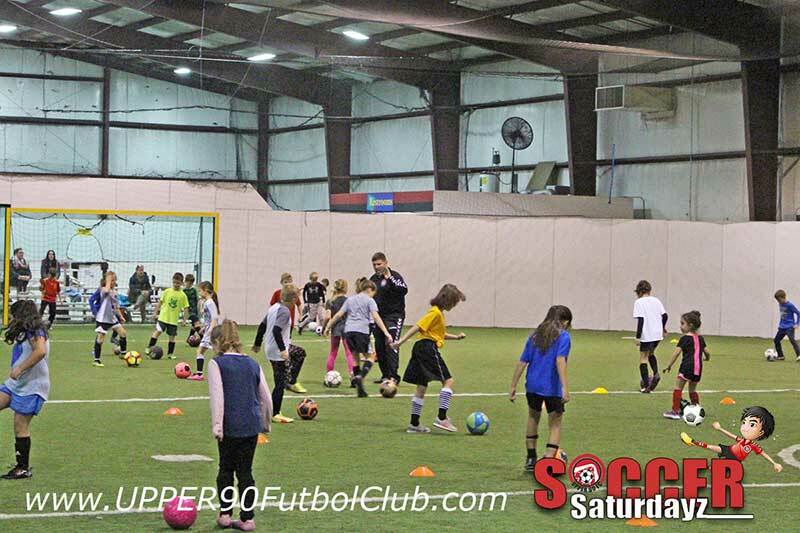 Soccer Saturdayz –There will be no more Soccer Saturdayz this season. We have to cancel the rest of the session previously scheduled for this month. Our apologies for the short notice. 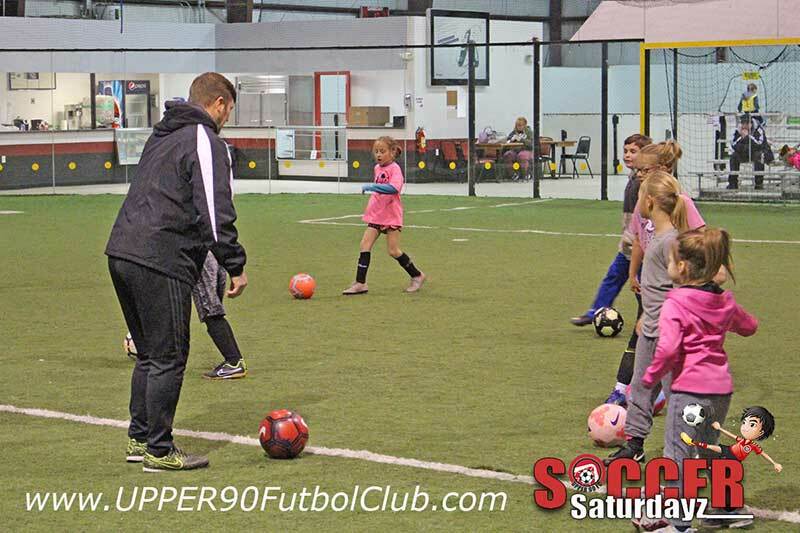 Please keep an eye on your inbox and our social media and website as we will be posting our Soccer Summer Camp schedule in the next month or so. 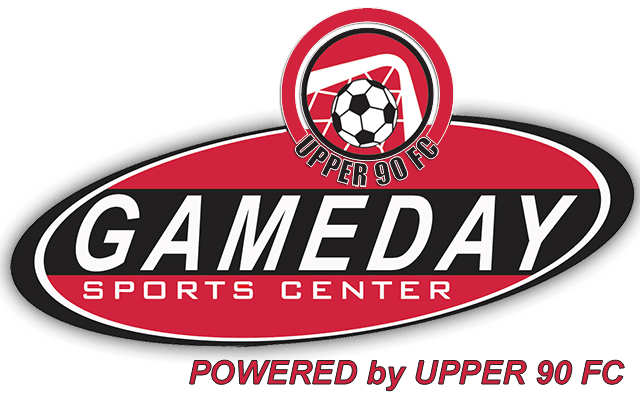 Best of luck as your spring seasons kick off and we look forward to seeing you soon at other UPPER 90 FC events. $5 per session. 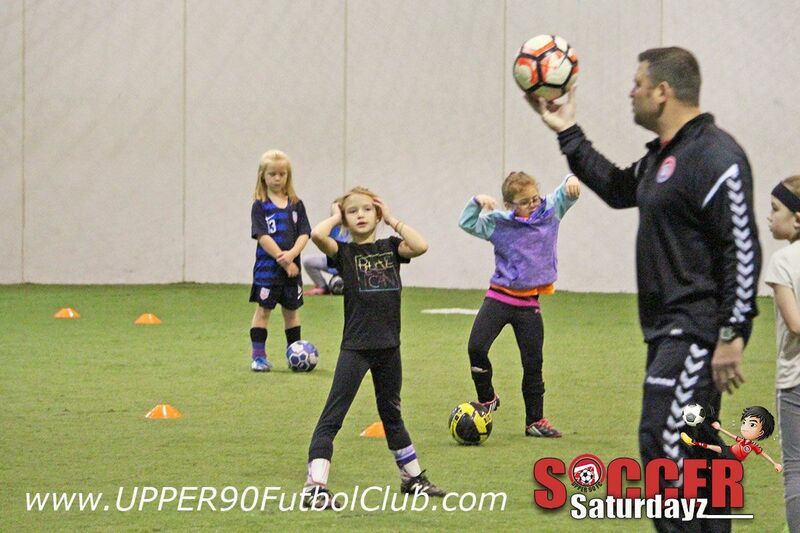 Please pay your coaches cash or check (made to UPPER 90 FC) prior to each session. 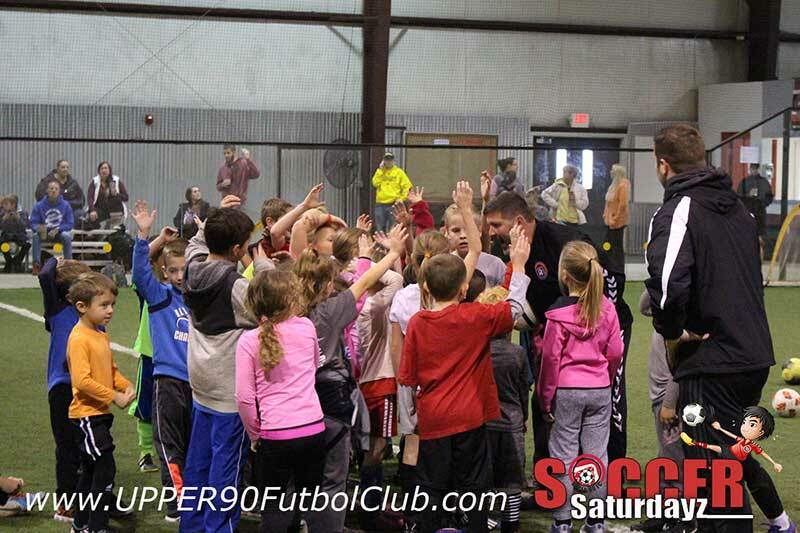 Please complete the online registration waiver prior to your first session. 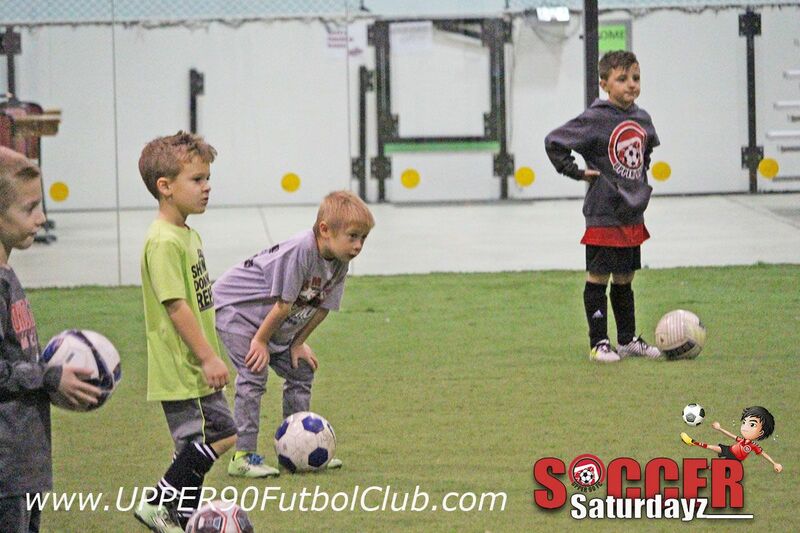 Only need to complete this once for the winter Soccer SATURDAYZ sessions. Boys and girls (birth years 2009 – 2013) with an interest and love for soccer. Questions reach out to the coaches.